300+ Coupons From Marriott, Radisson, Taj Group, Lemon Tree, Agoda ,Oyo, Fab Hotels, StayZilla etc. Avail upto 80% Discount On Room Bookings, Dining, Function Hall Bookings etc. Good Friday special!! Book hotels at Fabhotels and save 30% by using this coupon code on the checkout page. Hurry Up!! Special sale on hotels!! Flat 50% on selected hotels at Treebo. Use Treebo coupons and get best discount price on your hotel booking. Book Hawai hotels online at Agoda. Get 5% off on hotels by using this Agoda coupon on the checkout page. Book now. Book hotels online and get upto 50% + extra 5% off on hotel booking. Valid on select hotels and cities. Use coupon code on the checkout page to get discount. Limited period offer. Book hotels online at Fabhotels. save 35% by using this coupon code by using this coupon code. Limited period offer. Special offer on hotel bookings!! Get 45% off on hotel bookings by using this coupon code. Use OYO Rooms coupon code on the checkout page to get discount. Limited period offer. 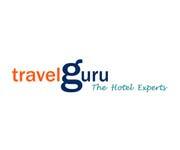 Get discounts on domestic hotels online at Travelguru. Grab Rs.500 discount on hotel booking value worth Rs.2000. Valid only on the online transaction. Use the coupon code on the checkout page to get the discount. Limited period offer. Hurry up! Book luxury hotels online from Travelguru. Flat 15% off on hotel bookings. Valid on minimum booking transaction of Rs.8000 above. Maximum discount Rs.3000. Use Travelguru coupon code on the checkout page to get discount. Hurry Up!! Book hotels and use code on the checkout page to get 60% discount on HDFC Bank Debit and Credit Cards or Pay via Paytm to get 5% cashback upto Rs 250. Hurry Up!! OYO mobile app users can get best discount price on hotel booking. Save 25% by using this coupon code. Limited period offer. Agoda offering discounts on Seoul hotels. Apply this Agoda coupon before making transaction to get discount. Limited period offer. 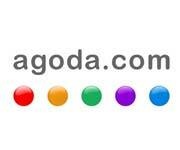 Agoda offering 5% off on Miami hotels. Hurry Up!! Book hotels from Hotels.com. Get 9% on hotels. Valid on booking through mobile app only. Book by 11:59pm IST on 22/04/2019 on the India version of Hotels.com. Hurry Up!! Book hotels online from Hotel.com and save 6% by using this hotel.com coupon. Book by 11:59pm IST on 22/04/2019 on the India version of Hotels.com Hurry Up!! Book hotels online with the best discount price at Travelguru. Get Rs.1000 discount on hotel bookings. Offer valid on minimum transaction of Rs.5000 above. Use Travelyaari coupon code before checkout of hotel booking to get a discount. Book now. Book hotels in Capetown from Agoda and save 5% by using this coupon code. Hurry Up!! Book hotels at Madrid and get 5% off by using this Agoda coupon on the checkout page. Hurry Up!! Book hotels in Patttaya and save 5% by using this Agoda coupon code. Hurry Up!! Book international hotels from Agoda and get best discount price. Avail 8% on Reykjavik hotels. Hurry Up!! Best offer on London hotels at Agoda. Save maximum 85% on hotels by usint this Agoda coupon. Book hotels in london and save 10% on your booking. Hurry Up!! Treebo offeting 50% off on hotel bookings. Use this coupon code on the checkout page and get extra 5% off. Hurry Up!! Book best hotel online from Treebo. Pay for 1 night and get one night stay free at Treebo hotels. Minimum booking value not required. Apply this Treebo coupon code on the checkout page to get discount. Hurry Up!! Grab discounts on hotel bookings. Avail 50% discount and 20% Treebo cashback on hotel bookings. Apply this Treebo coupon on the checkout page to get discount. Hurry Up!! Now Get 25% off by using this OYO Rooms coupon code on the checkout page. Just apply this coupon code on the checkout page to avail discount. Cashback will be credited in 3 days in OYO wallet. Limited period offer. 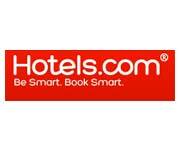 Book hotels online from Hotels.com and get discounts. Flat 12% off for Standard Chartered Priority Banking Visa Infinite credit/debit card, Emirates World, and Ultimate credit card. Use promo code and get discount with a minimum stay of 2 nights. Special offer for Standard Chartered Bank Users!! Flat 10% Off on hotel booking by using Standard Chartered Priority Banking Visa Infinite credit/debit card, Emirates World, and Ultimate credit card. Use Hotel.com coupon code and get discount with a minimum stay of 2 nights. Book hotels and make transaction with Paytm wallet to get Rs.250 Paytm cash. Valid on all hotel booking. Valid on minimum booking value of Rs.500. Hurry Up!! Grab discounts on hotel bookings at OYO Rooms!! Flat 30% off on your booking. Offer valid on minimum 5 days. Use this OYO coupon code on the checkout page to get discount. Hurry Up!! On minimum booking value of Rs.2000 above get 20% off by using this coupon code. Use SBI debit and credit card for the transaction. Hurry Up!! On minimum booking value of Rs.2000 above save 20% on hotel booking. Valid on minimum booking value of Rs.of Rs.2000 above. Use RBL Bank cards for the transaction. Save 40% on all oyo properties. Offer valid for all users, Valid on bookings created till 30th April, Valid on check-ins created till 30th April, Only valid for hotels in India, Valid on OYO Web & M-WEB only. Book hotels online at Agoda and get best discount price. Sign up and get 30% discount. Book hotels from popular cities like Delhi, Mumbai, Bangkok, Goa, Chennai, Bangalore and more. Agoda coupon code not required. Use credit card, debit card and net banking for the transaction. Special offer for American Express Bank customers. Save 30% on hotel bookings. Valid on making transaction with American Express cards for the transaction. Limited period offer. Book hotels in top cities and get 30% off by using Fabhotels coupon code on the checkout page. Hurry Up!! Book hotels online from OYOrooms. Save 25% on hotels, 30% OYOcash on your bookings. Maximum cashback Rs.200. No minimum booking value required. Use OYOrooms coupon on the checkout page to get discount. Hurry Up!! Book hotels online at Fabhotels and get 30% off by using this coupon code. Use Paytm wallet for the transaction and get Rs.250 cashback. Limited period offer. Book budget hotels online from OYOrooms. Get 40% discount on hotel booking. Use Axis Bank credit, debit and net banking for the transaction to get discount. Maximum discount Rs.400. Book hotels online and get best discount price. Save 5% on your booking by using this coupon code. Minimum booking value not required. Valid for all users. Hurry Up!! Now enjoy your stay at hotels on weekends at getaway places like Ooty, Bangalaore, Chennai, Delhi kolkata, mumbai and get upto 46% off. No minimum booking and coupon code required to avail the offer. Hurry up! Book Now. Hotels.com Global sale offer. Get upto 50% discount on hotel bookings in Bangkok, Singapore, Koh Samui, Pattaya, Krabi, Chiang Mai, Ho Chi Minh City, Hua Hin, Phuket, Bali. No minimum booking value required to avail this offer. No coupon code required. Offer valid only for a limited period. Special offer for American Express card users!! Book the best stays at Treebo hotels an get flat 30% off discount using American Express cards. Offer valid for old and new users. Valid on payments made using American Express Cards only. Not Applicable on Treebo App and Pay At Hotel. Use the coupon code and avail the offer soon. Book hotels online at Treebo hotels. Flat 20% off on hotel booking by using HDFC credit card, debit card and net banking for the transaction. Use coupon code on the checkout page to get discount. Limited period offer. Book hotels online and get discounts. Up To 40% Off + Extra 8% Off On Select Hotels Bookings For Visa Card Customers. Valid for bookings made via the dedicated Visa website accessible to eligible Visa cardholders. Discount only applies to the first room in the booking. 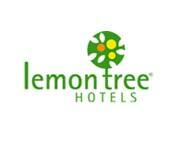 Book budget hotels online from Ulo Hotels. Save 60% on hotel booking in Croog. Use coupon code on the checkout page to get discount. Hurry Up!! Book a hotel online anywhere in India through bookings App and get upto 71% discount. No minimum booking value required.No coupon code needed to avail this fantastic offer. Use a credit card, debit card or net banking to book a hotel. Limited rooms are available. Hurry now! Sign up at Booking and get up to 50% discount. Use the credit card, debit card or net banking to book a room. Limited period offer. Hurry now! Book hotels online and get best discount price. On minimum booking value of Rs.1500 above save Rs.400 by using this coupon code. Best offer on hotels!! Flat 35% off on hotels by using this coupon code. Valid on Last Minute Deal hotels only. Hurry up! !